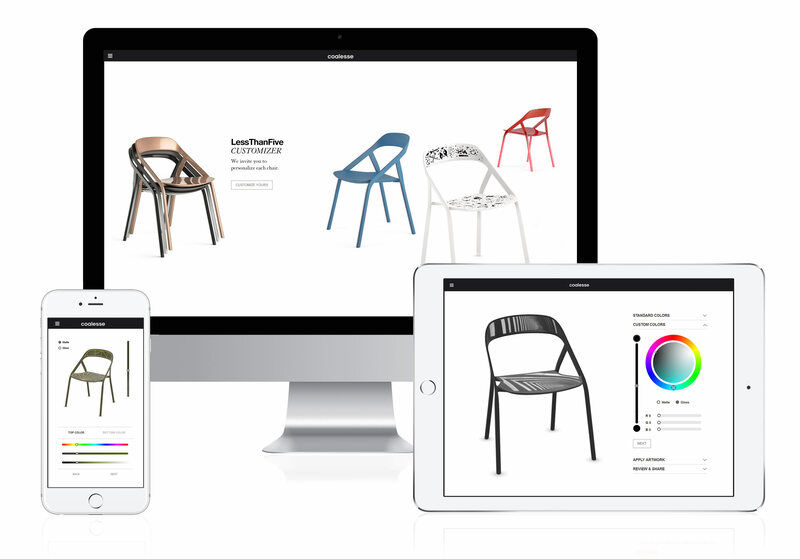 Today we are pleased to be introducing ThreeKit.com, the online 3D product configurator and viewer for ecommerce retailers and product manufacturers. ThreeKit is the latest innovation from the same team behind Clara.io, the popular online 3D editor, and the successful Exocortex production plugins used in Hollywood VFX. Built to address the need for interactive 3D configurators in the ecommerce market, our engaging 3D experiences convert more of your visitors into customers — it's that simple. Traditional product images just don’t cut it anymore. ThreeKit promises to deliver the rich online shopping experience we're all looking for. ThreeKit is tied into the Clara.io web-based editor and content management system, as well as with Clara.io's REST and web-based APIs. This enables rich, customizable experiences that are easy to create, maintain, and automate. It also reduces the need for expensive and offline desktop tools for preparing content. With excellent support for CAD files (particularly STEP and IGES), as well as transitional polygon 3D file formats like FBX, ThreeKit works well with your product creation workflows. Exocortex stands behind ThreeKit and can easily customize its toolset to meet your needs, or you can do it yourself with ThreeKit's powerful and battle-tested APIs. 3D Product Configurator: Swap product specs like colors, materials, parts, and finishes in real-time on any device. 3D Product Shots: Easily capture highly-realistic product shots from any angle at a fraction of the cost of traditional photography — even before the product is manufactured. 360-degree Product Photography: Fully-interactive 3D models engage customers better than traditional static images. Product details like colors, textures, and parts can be changed in real-time — impossible with 360-degree dome images. VR-Ready Product Experiences: Virtual reality experiences immerse and convert customers. Quickly jump from ThreeKit 3D models into VR on all major devices including Vive, Oculus, and Cardboard. Based in beautiful downtown Ottawa, Canada, we service a growing number of international clients that represent an eclectic blend of industry professionals, pioneers, and experts in their respective fields. Our professional partners, KBMax and ONU One, help countless more clients achieve success by building solutions that meet their customized needs. Coalesse Customizer: Coalesse needed a configurator with an intuitive UI that guided Coalesse consumers through the design process, allowing for custom graphics and color gradients to be altered and rendered in real-time on every device. "The customization tool ThreeKit created for us is a great way to engage customers in the design process." — Sherrie Willson, Digital Marketing Manager at Steelcase Inc.
Onshape CAD Visualization: Onshape relied on us to build a web-based solution that made it easy to display CAD projects online. The ability to quickly drag-and-drop materials and visualize those changes in real-time was essential to providing a rich user experience. "Clara.io [by Exocortex] has proved to be one of the most popular solutions in the Onshape App Store. Our users can instantly access Clara.io's visualization tool and robust 3D editor, thanks to its zero-install and instant deployment." The ThreeKit team consists of dedicated 3D pioneers and visual effects professionals, led by Ben Houston, a 15-year veteran in Hollywood Visual FX software with a rich academic track record, and as a leading contributor to Three.JS — we are proven 3D experts. Far too often, the first time a customer really sees a product is when it arrives on their doorstep. They excitedly open the box only to discover it looks nothing like it did on the website. When this happens it undermines consumer confidence and leads to massive returns, costing thousands in sales. ThreeKit is building unique 3D shopping experiences that reinforce confident purchases and engage customers throughout the buying process — our goal is to create fulfilling customer-brand experiences online. ThreeKit is available now. Please visit http://threekit.com/ for more information or contact us directly. This is the blog of Exocortex, passionate CG software professionals creating tools for top artists, developers and studios. View all our blog entries.